Just when you think things can’t go worse, they somehow do. At least that’s how it seemingly always goes for the Buffalo Bills these days. And to think, we’re only in *checks notes* week two?! Good lord, if the city of Buffalo didn’t have Rasmus Dahlin, Jack Eichel and Casey Mittelstadt to look forward to, the entire city might need to be on suicide watch. The Bills were a complete embarrassment for the second week in a row. Things were bad enough, being down 28-6 at half time to the Los Angeles Chargers. But then veteran cornerback Vontae Davis, in his first game in Buffalo, decided to retire at half time. As in told no one beforehand, changed into street clothes and left. Quit. Donezo. Your 2018 Buffalo Bills, ladies and gents! The defense might see head coach Sean McDermott take over play-calling duties full-time. He took them over from defensive coordinator Leslie Frazier in the second half of yesterday’s game and the defense only surrendered 65 total yards and three points after the change. 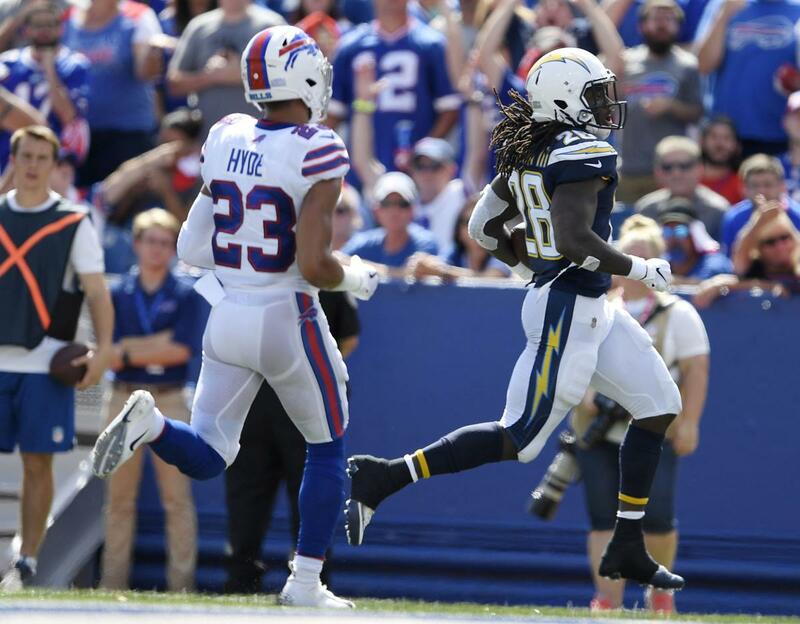 This is the second week in a row they have looked abysmal, with the Chargers offense putting up less yardage than they did in a shootout with Kansas City, but looking much more efficient. Quarterback Phillip Rivers looked masterful, going 23-of-27 for 256 yards and three touchdowns, finding open receiver after open receiver. It’s clear something has to change defensively, so a switch to McDermott as the full-time playcaller in week three could be where the team decides to go. It’s not like things could really get any worse at this point. On offense, it seems clear to yours truly that Josh Allen’s potential is obvious. He’s not lighting the world on fire, obviously, but then again, Jesus could fly into Tom Brady’s body and would still struggle to succeed playing with this team. LeSean McCoy was a total non-factor once again, getting only 13 total touches. The offensive line was just as awful as they were against Baltimore, surrendering five sacks and a litany of pressures. Allen — who went 18-for-33 for 245 yards, a touchdown and a pair of interceptions — showed flashes, which is basically all that’s possible right now. He shows good mobility trying to escape pressure, but there were multiple plays on the day that saw him barely finish his drop back before he was trying to evade rushers. Allen shows the ability to fit the ball in tight windows and Bills fans can’t help but wonder how he might develop with a line that could keep him upright and a receiving corps with talent. No disrespect intended to Kelvin Benjamin and Zay Jones, but that is hands down one of the worst receiving duos in the entire league. Going forward — and this will be a constant reminder — it’s important to remember that wins and losses this year literally do not count when it comes to the development of Allen. We will have to look at the flashes and take in stride the failures. It isn’t fair to judge this kid’s future playing with an offense like this. Only an all-time great like Brady could even have a hope of succeeding and even then, he’d likely be red-faced and screaming by now. The Bills prognosis from the preseason has only gotten worse and this writer’s initial worst-case of 6-10 has plummeted. They might steal a game or two if the defense plays up to its capabilities, but between the horrific offense and the schedule — they’re in Minnesota and Green Bay the next two weeks — 2-14 is seeming more and more likely these days. But try not to despair, Bills fans. Hockey season is just a couple of weeks away. ← Previous Story Cleveland Browns Come Up Short In New Orleans.